Features a handcrafted case Made in Virginia. The movement and accessories are made in Germany. The finished cabinet has a graceful split pediment crown with a carved finial and hand rubbed veneer panels. 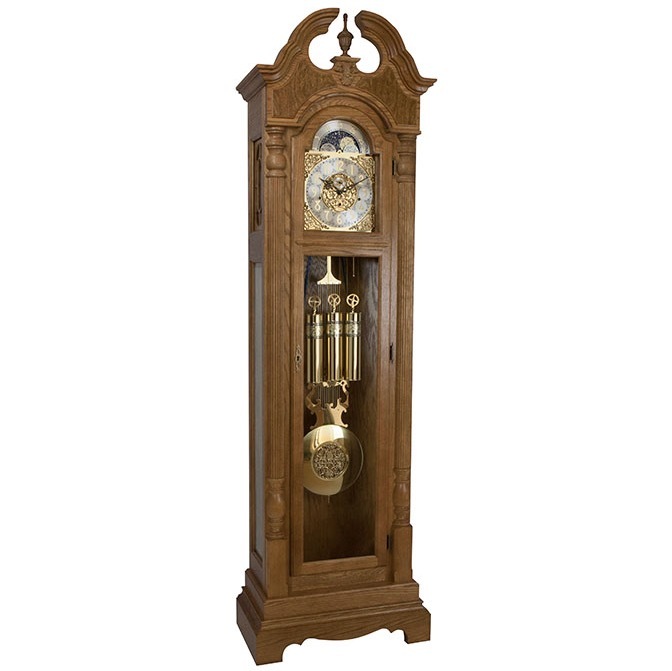 Mechanical 8-day movement features automatic night shut-off and Westminster, St. Michael, and Whittington chimes.